On behalf of admin of JML Law, A Professional Law Corporation posted in Product Liability on Saturday, Feb 10 2018. Do you have Claire’s make-up kit which you recently bought from the high street retailer? If you do, you may want to read this one. Claire’s, a U.S. retailer of accessories, jewellery and makeup primarily sold for teenage girls and young women, is under water after urgently recalling its make-up kits. One of its make-up sets was sent off for tests, and the testing allegedly confirmed that the company’s teen makeup kits contain asbestos. Our Los Angeles product liability attorney at JML Law explains that tremolite asbestos is a harmful substance that can cause several types of cancer. This substance has also been linked to a number of diseases and illnesses. Recent tests allegedly confirmed that Claire’s makeup kits had traces of this harmful and dangerous substance, which, if inhaled, puts the safety of thousands of the company’s customers who purchased the product in danger. What to do if you have Claire’s makeup kit? Claire’s, which has its stores in a whopping 95% of all U.S. shopping malls, has recalled nine of its products that could contain asbestos. The list includes such makeup sets as the Pink Glitter Palette with Eyeshadow and Lip Gloss and the Rainbow Glitter Heart Shaped Makeup Set, which are the retailer’s most popular makeup sets. If you’ve purchased a makeup kit at Claire’s in recent months, the company advises customers to return the affected products to its store to get a full refund. If you’ve already used the makeup kit before the recall, you may want to speak to a product liability attorney who will help you find a competent physician to determine the full value of injuries and damages suffered from using the cosmetic product. Exposing yourself to a harmful substance such as asbestos could be potentially deadly, especially considering that this substance causes certain types of cancer. Cancer takes months or years to manifest itself, which is why it’s advised to contact the best product liability attorney in Los Angeles in order to find out what to do in your particular case to minimize the harm and file a complaint to collect the financial compensation that you deserve. How to file a product liability complaint in Los Angeles? If a company was negligent enough to put up a cancer-causing product up for sale and failed to test its product for dangerous substances – not to mention that it failed to warn customers of potential safety risks – the company may be held liable. Let our Los Angeles product liability attorneys at JML Law help you build a strong case and conduct an immediate investigation in order to prove that Claire’s or any other negligent company failed to comply with California regulations and guidelines. Using a defective, faulty or otherwise dangerous product that contains toxins, harmful substances or chemicals, can have a negative effect on your health, which is why it’s vital to seek monetary compensation to minimize the health risks or treat your injuries. 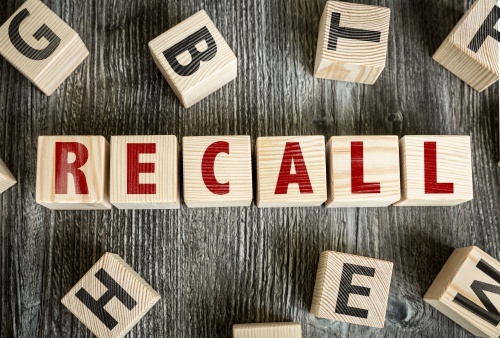 Our Los Angeles product liability attorney reminds users of defective products that it doesn’t matter if the manufacturer did or did not issue a recall, you’re still entitled to compensation. Contact our Los Angeles offices today to find out what to do in order to file a product liability complaint and seek damages. Call JML Law at 818-610-8800 or send us an email for a free evaluation of your case.